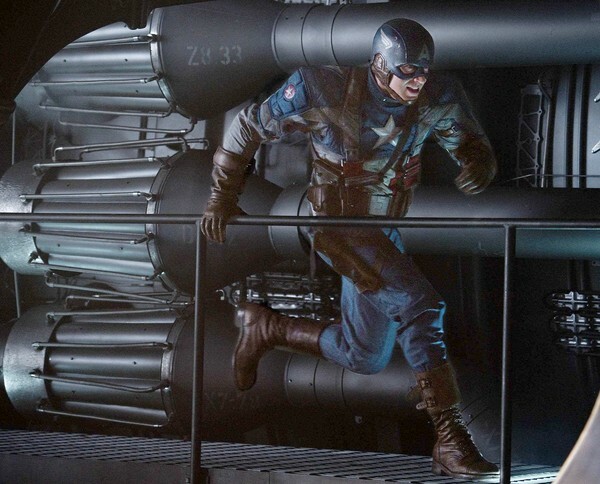 The live-action Captain America movie: trailer, clips, photos, soundtrack, news and much more! That’s a hell of shield! I would have failed that test: call me selfish, but there’s no way I would jump on a grenade to save other people, I’m no kamikaze! 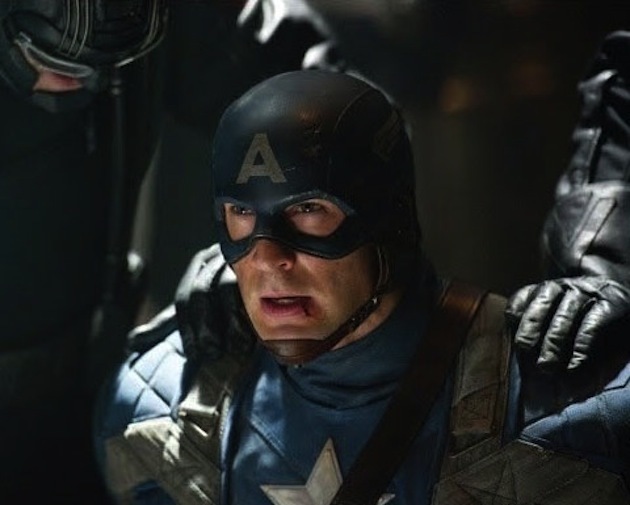 Captain America – How do you feel? Not sure I’ll see this movie with my wife: when she will see Chris Evans she will start thinking about sending me to the gym and I definitely don’t want to go there! Will you go watch the movie Captain America when it comes out in theaters? Who needs Captain America’s shield when you have such a great trash can lid! 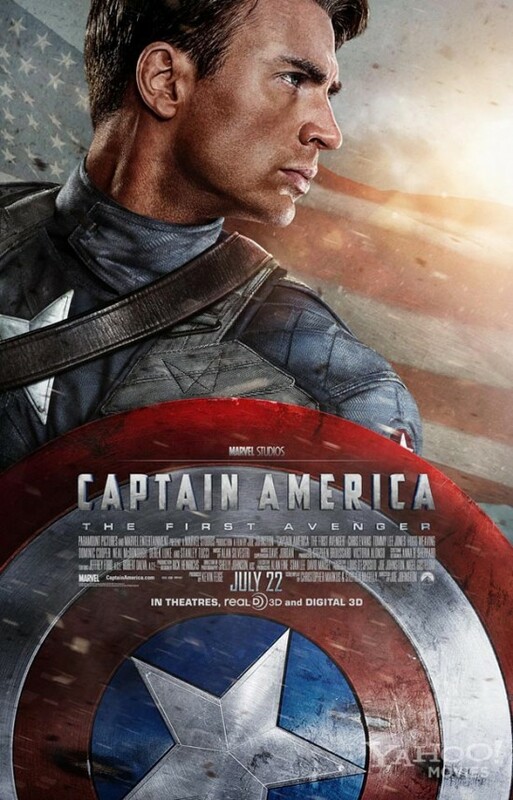 The Captain America movie will be released in theaters on July 22, 2011. 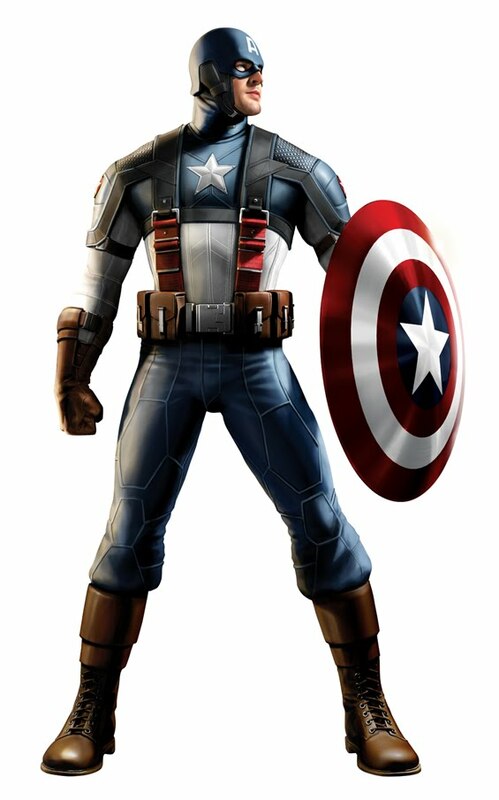 Chris Evans looks good as Captain America! 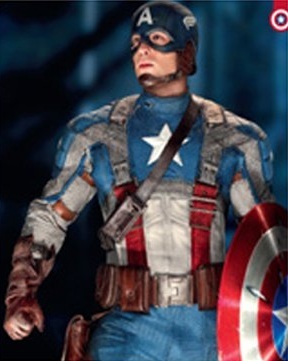 Actor Chris Evans got the lead role as Steve Rogers aka Captain America. 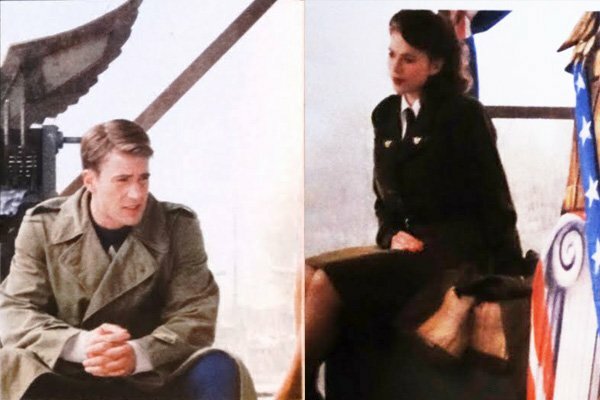 You may recognize Hugo Weaving as Johann Schmid aka Red Skull, Chris Evans as Steve Rogers aka Captain America, and Hayley Atwell as Peggy Carter. 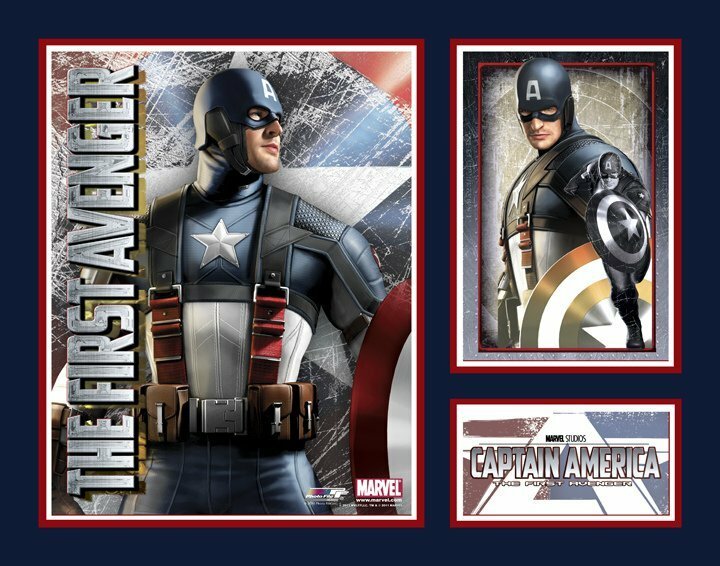 The release date of Captain America is set for July 22, 2011. 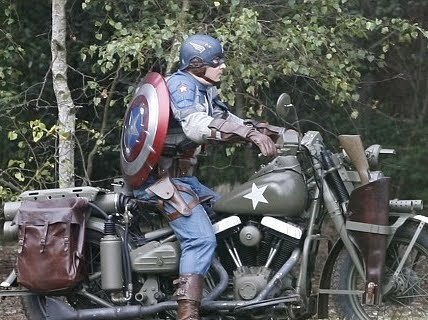 This new Captain America trailer looks damn exciting! Way better than X-Men First Class, Thor or the Green Lantern actually: Captain America rules! 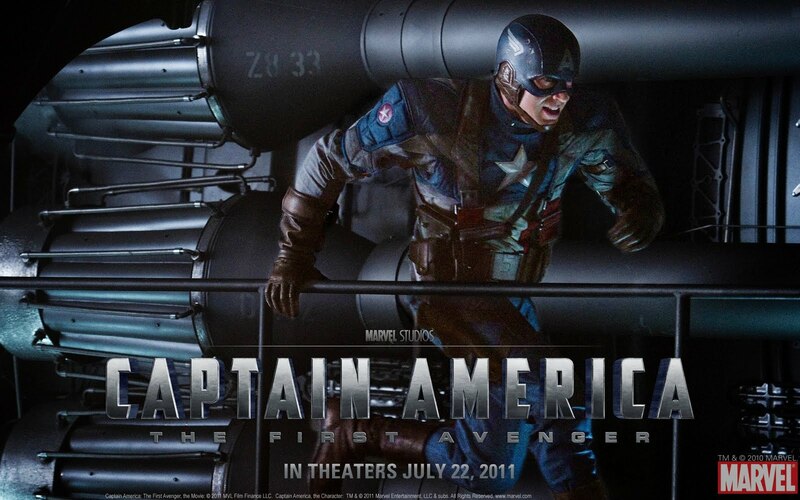 The movie Captain America will be released in theaters on July 22, 2011. 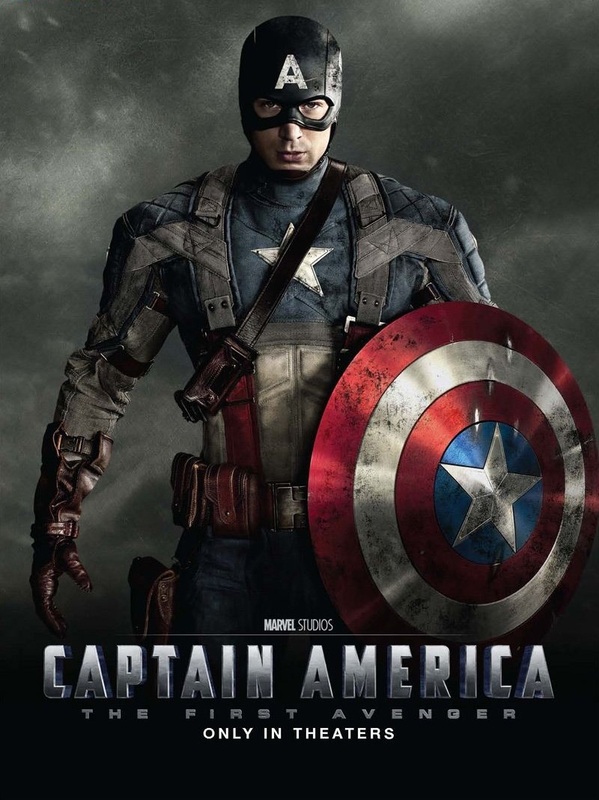 The movie Captain America will be released this summer on July 22, 2011. This Super Bowl trailer of Captain America looks promising. 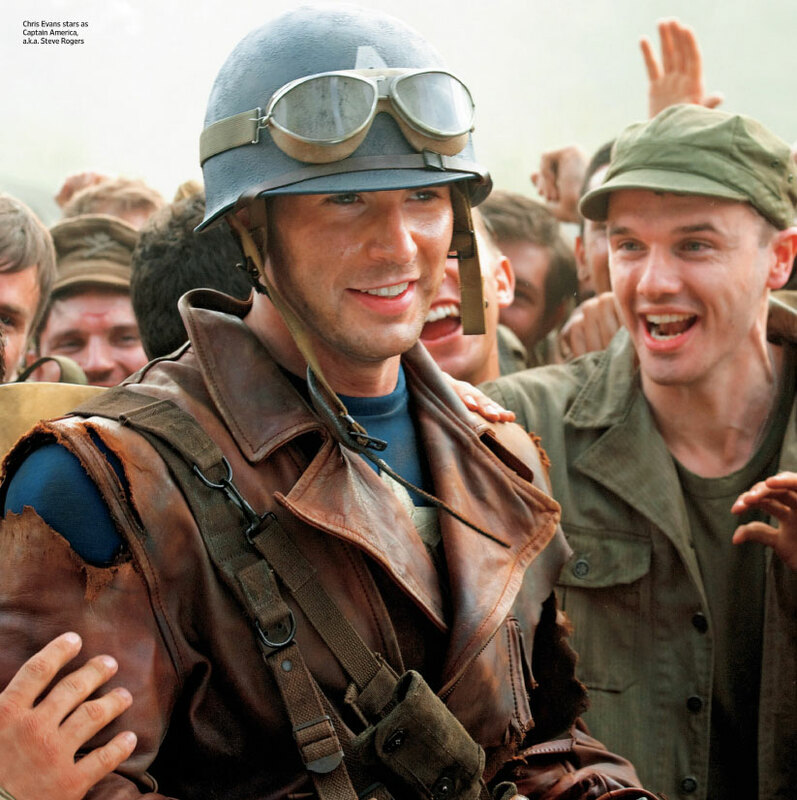 The First Avenger is going to rule! 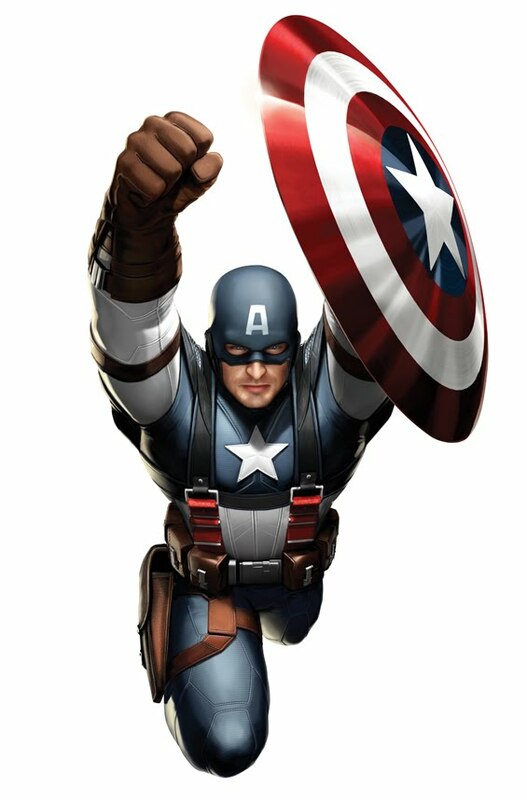 Are you waiting with impatience for the first trailer of Captain America that will air during the Super Bowl? From what I heard it’s a 30-second TV spot, and a full-length trailer of Captain America should be released a few weeks later. 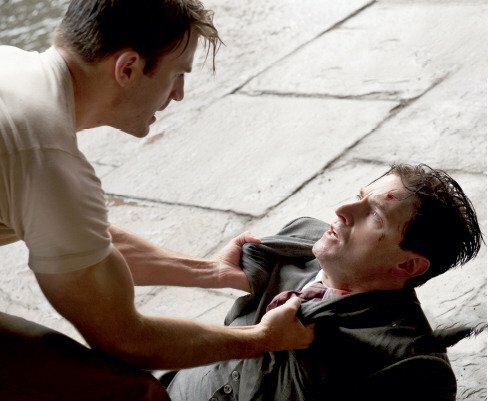 Catain America The First Avenger will hit theaters on July 22, 2011. 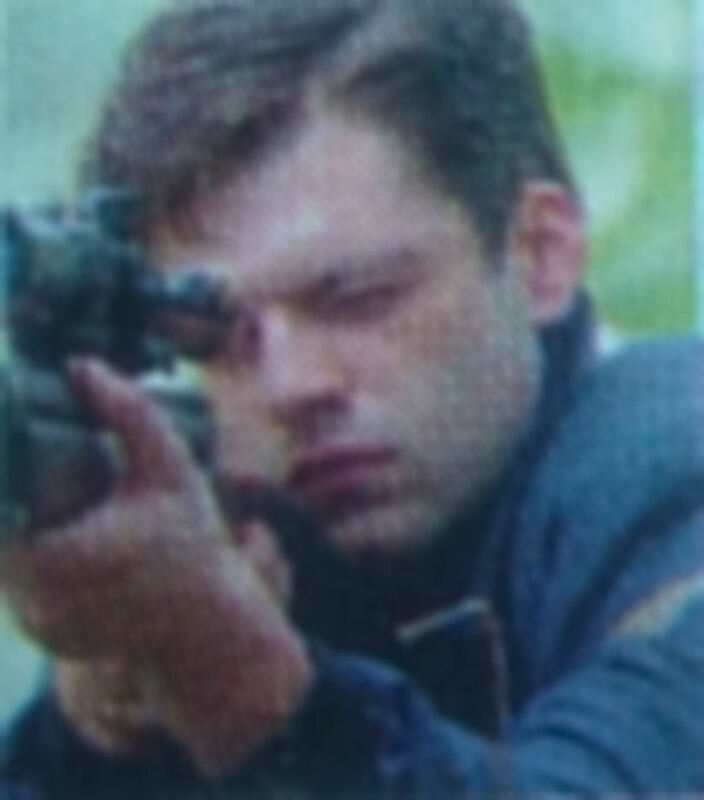 Bucky Barnes is Captain America’s sidekick. 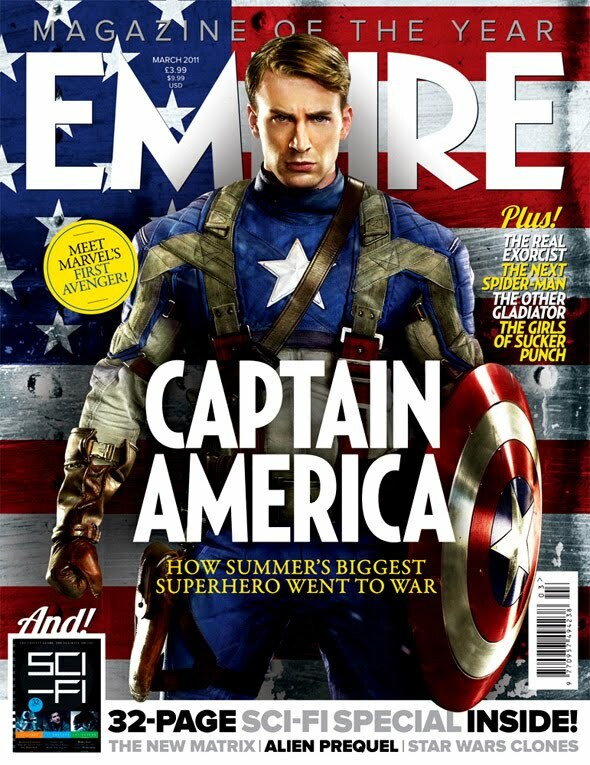 Chris Evans got the lead role as Steve Rogers aka Captain America. 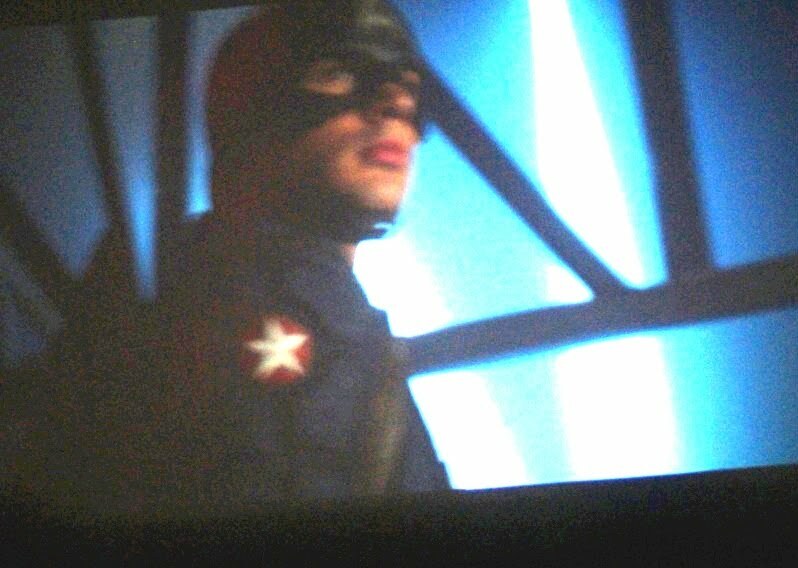 Really impatient to see this Superbowl trailer of Captain America! Is he running away from something or chasing someone? 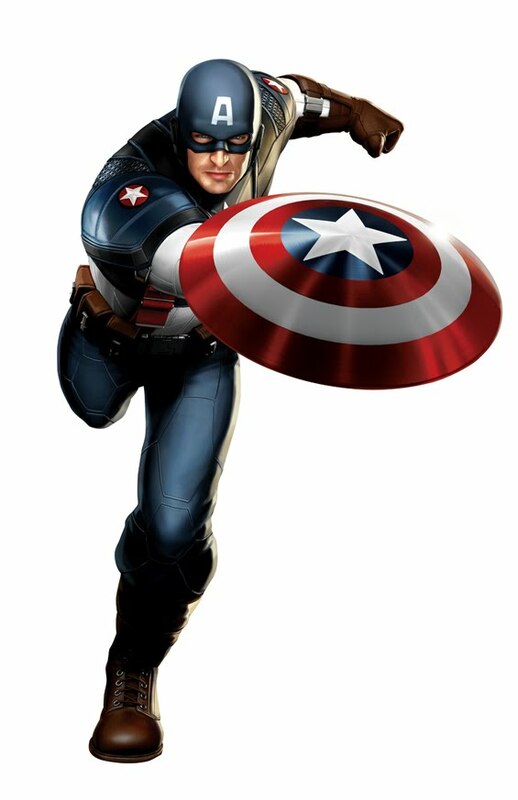 What do you think about Chris Evans as Captain America? 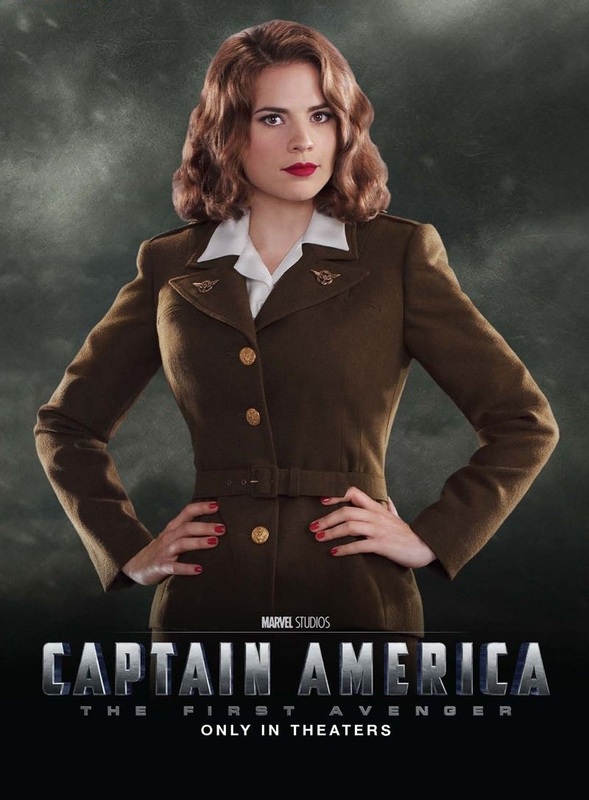 The movie Captain America will be released on July 22, 2011. 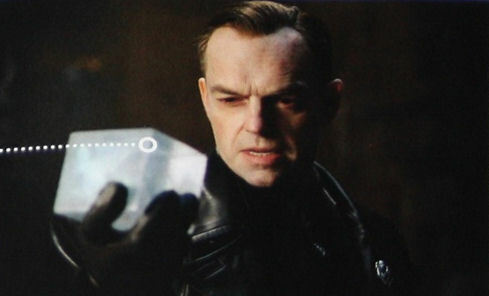 Red Skull is holding the “cosmic cube”, a mystical device in the Marvel Universe, capable of ultimate power and transforming any wish into reality. 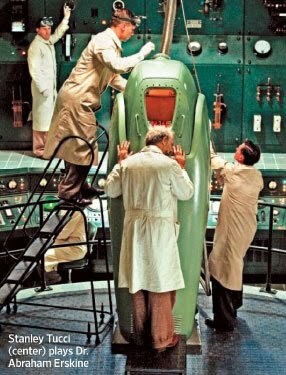 I wonder how the device will be introduced in the plot of the upcoming live action captain America movie. Any idea? According to the online buzz a first movie trailer of Captain America should be released soon, maybe even this week. Let’s hope that the first official movie trailer of Captain America will be released online soon! 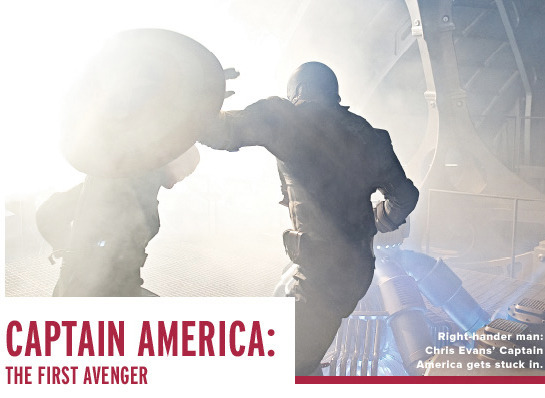 After being deemed unfit for military service, Steve Rogers (Chris Evans) volunteers for a top secret research project that turns him into Captain America, a superhero dedicated to defending America’s ideals. Sweet Pictures! 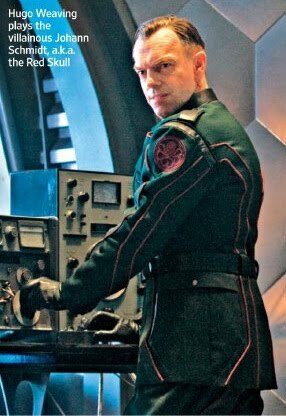 Not only we get to see Chris Evans as Captain America but also Hugo Weaving who’s playing Red Skull! 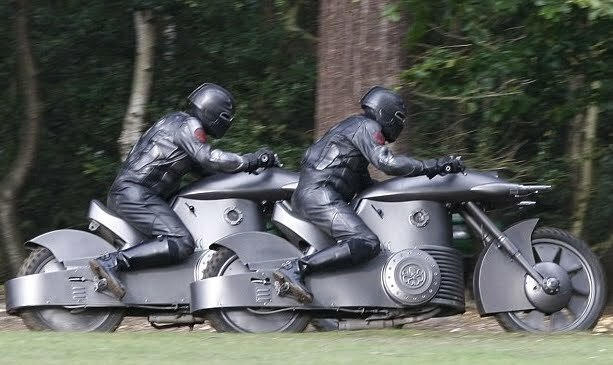 The movie is currently filming in Manchester, UK. The movie Captain America is directed by Joe Johnston and is starring Chris Evans as Captain America and Hugo Weaving as Red Skull. 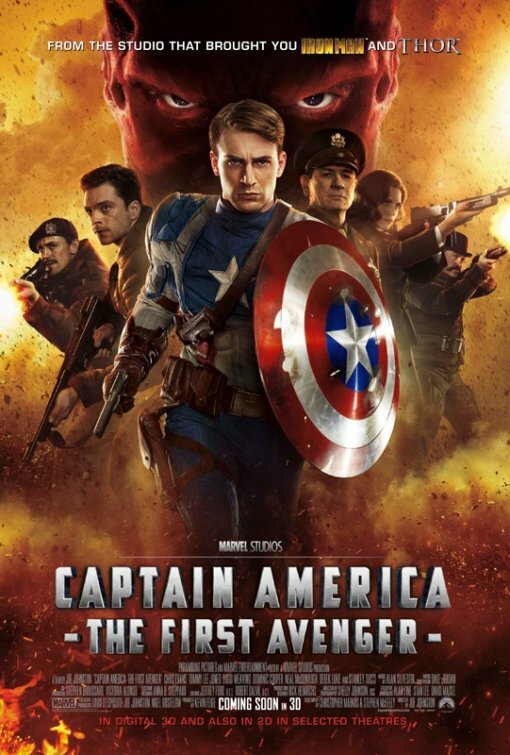 Captain America will open in theaters on July 22, 2011. 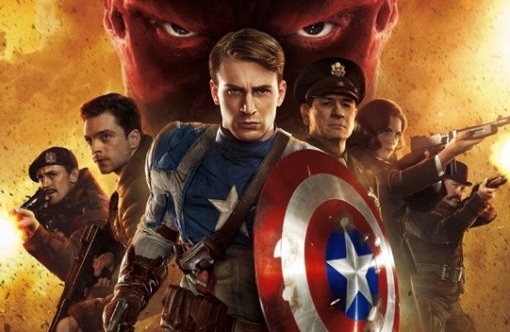 Directed by Joe Johnston, the live-action Captain America movie is starring Chris Evans in the lead role and Hugo Weaving as his nemesis Red Skull. 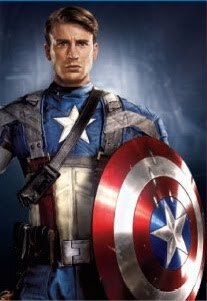 I wouldn’t wander in middle of a battlefield wearing a blue costume… But hey I’m not Captain America and I don’t have any indestructible shield! 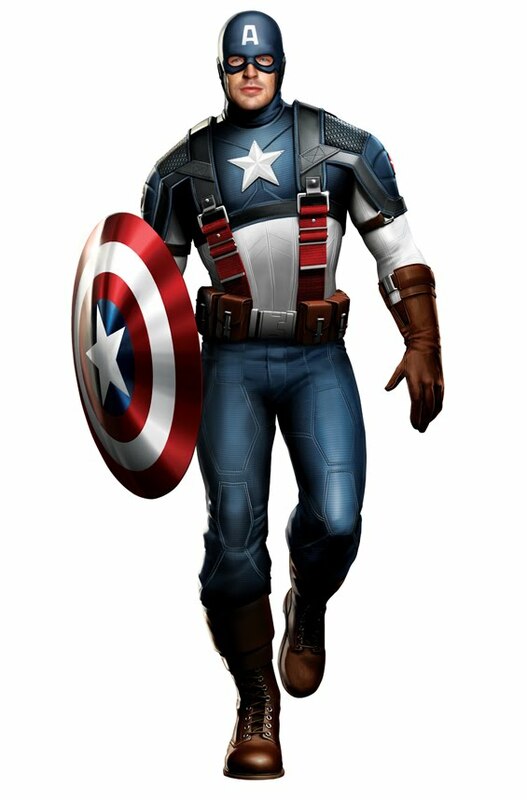 Captain America’s new costume isn’t as flashy as in the original comics, but no reason to complain: Captain America looks way better in his new costume! Don’t you agree? Actor Sebastian Stan has been hired to play the role of Bucky, Captain America’s sidekick, in the upcoming live-action Captain America movie directed by Joe Johnston. 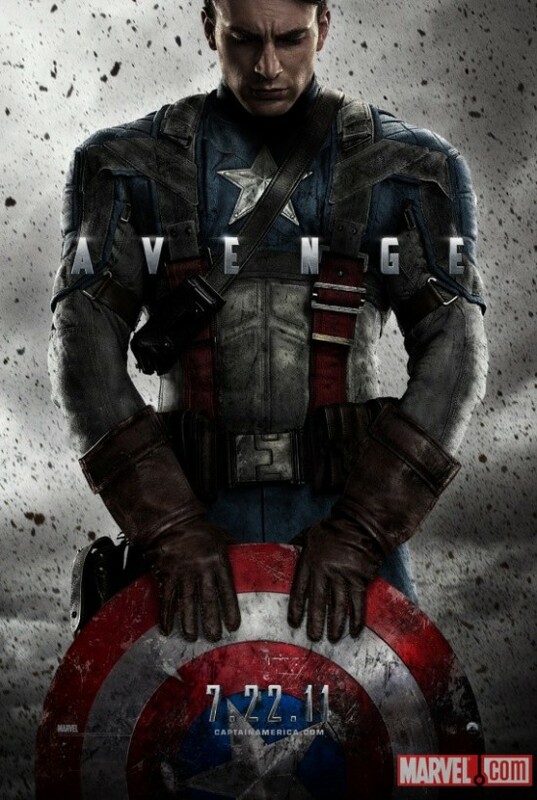 Actor Chris Evans has been confirmed as Captain America. And from what I heard he’s even signing up for a Captain America trilogy and also for a few Avengers movie! 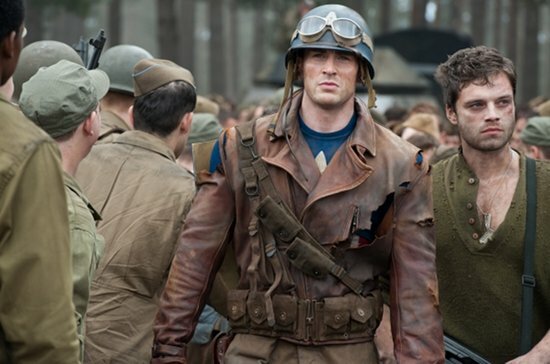 Looks like Director Joe Johnston found his Captain America: according to a growing online buzz Chis Evans ‘s got the job. Chris Evans (The Losers, Push, Fantastic Four) previously played the role of Human Torch in the Fantastic Four movie, so he’s no newbie. 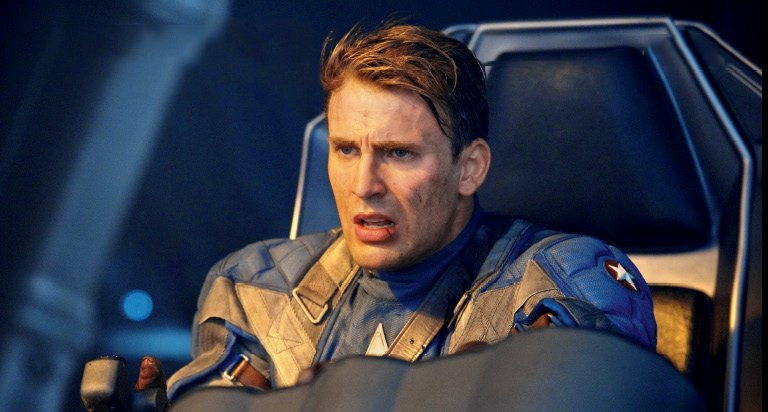 We still don’t know who’s going to be Captain America in the upcoming Captain America movie directed by Joe Johnston. 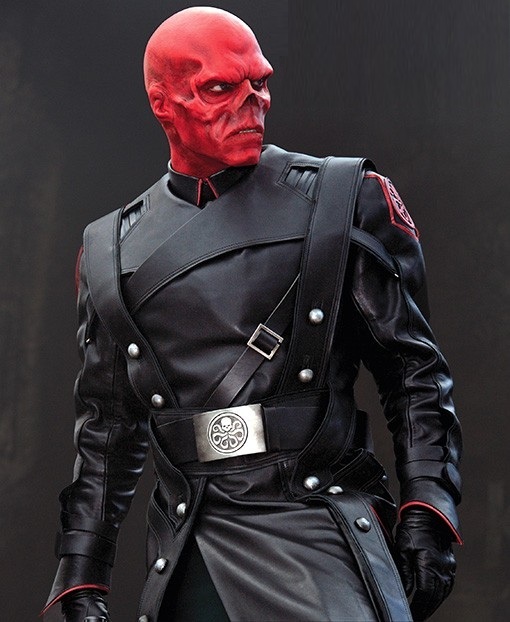 But it’s been at least revealed that Hugo Weaving would play the role of the Villain as the Red Skull. 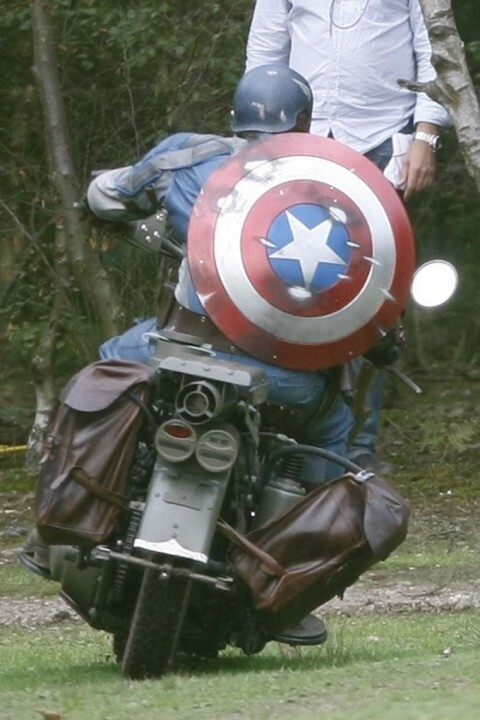 “The costume is a flag, but the way we’re getting around that is we have Steve Rogers forced into the USO circuit. 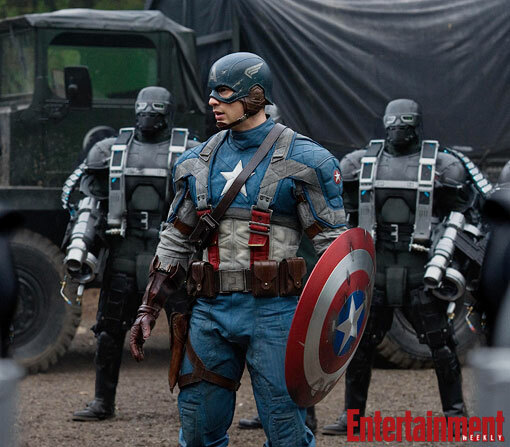 After he’s made into this super-soldier, they decide they can’t send him into combat and risk him getting killed. He’s the only one and they can’t make more. So they say, ‘You’re going to be in this USO show’ and they give him a flag suit. He can’t wait to get out of it. 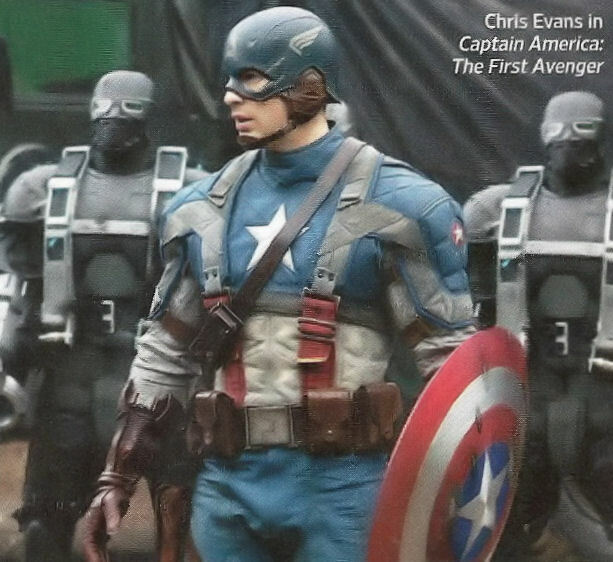 Let’s hope that they will let us see the costume made for this Captain America movie soon! 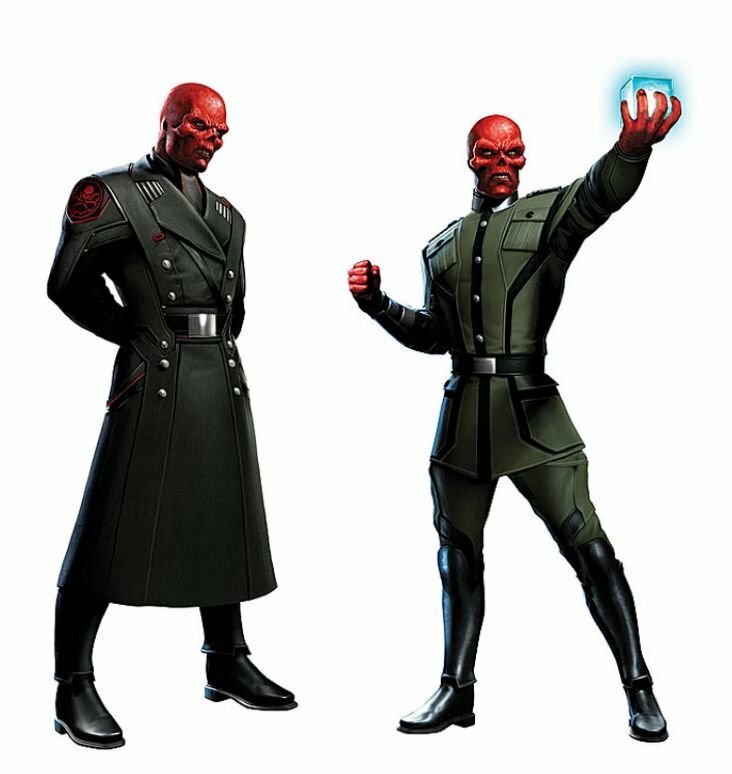 It’s been confirmed (understand “reliable hearsay”) that Red Skull will be the main villain in the upcoming Captain America movie directed by Joe Johnston. 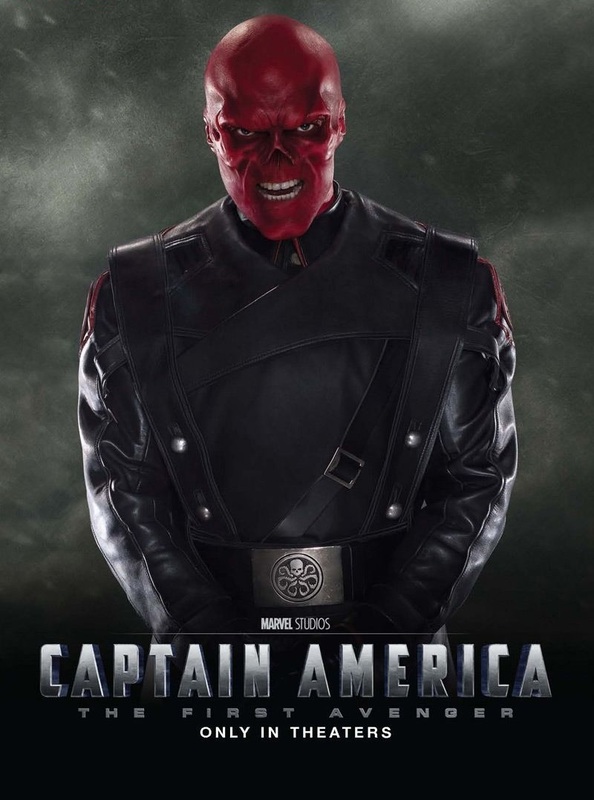 So Red Skull, as Captain America’s greatest foe, is the right pick! If nobody comes to unfroze him asap for the Avengers movie, it’s gonna be really hard to bring Captain America back to life (picture courtesy That’s My Skull)! 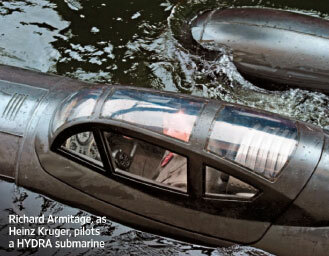 “It is influenced by the comic book, but it goes off in a completely different direction. It’s the origin story of Captain America. It’s mostly period—there are modern, present-day bookends on it—but it’s basically the story of how Steve Rogers becomes Captain America. The great thing about Captain America is he’s a super hero without any super powers. Which is why this story, among the hundreds of super hero stories, appealed to me the most. He can’t fly, he can’t see through walls, he can’t do any of that stuff. He’s an every man who’s been given this amazing gift of transformation into the perfect specimen—the pinnacle of human perfection. 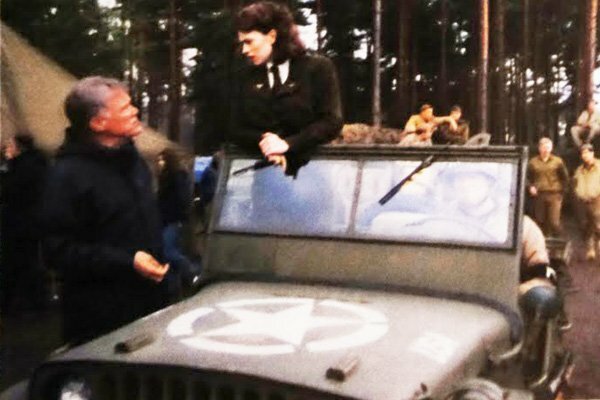 Sounds like Joe Johnston (who doesn’t look like a comic-book fan…) did some research about Captain America! And I’m glad his grasps of the character’s personality will be a real boon for the film! Impatient to see his take on Captain America! 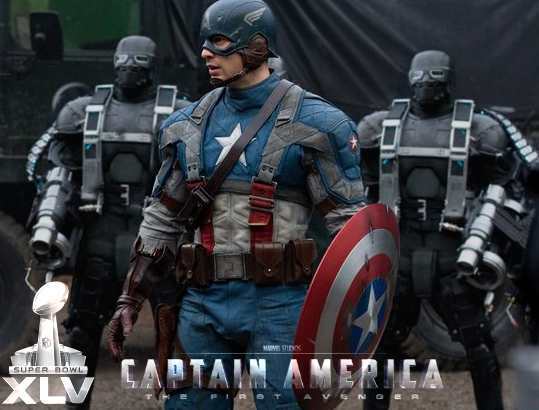 A new live-action Captain America movie is set to be released in July 2011. 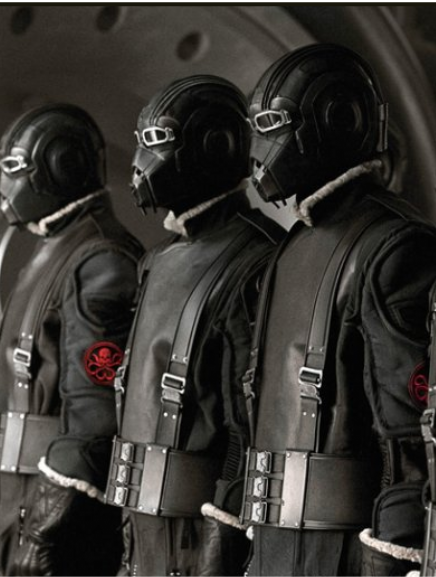 The film will directed by Joe Johnston (who helmed Jurassic Park 3, the upcoming Wolfman movie) based on a script written by Christopher Markus and Stephen McFeely. 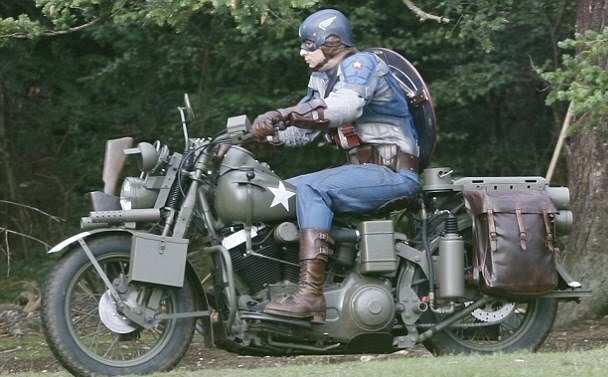 Filming of Captain America should start in June 2010. So I guess the movie cast of Captain America will be officially announced in the coming months. 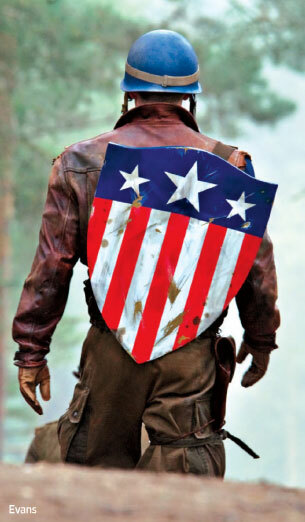 Anyway, who do you think would be the best fit to wield the shield of Captain America? Sam Worthington maybe? Incredible Hulk Alternate Opening With Captain America? Thanks to WorstPreviews we may have a look to the alternate opening of the Incredible Hulk that will on the DVD released at the end of this month. I’m striving to see Captain America, but so far no convincing proof for me… It is said that he -actually his shield- appears at 2:22 mark of this alternate opening of the Incredible Hulk. Someone should hurry to deliver Captain America from the ice though: I’m worrying for his health! you’ll see Captain America under his shield, frozen in the ice! I am sure you are craving for you own DVD of the Incredible Hulk by now. Cannot miss the occasion to catch a glimpse of Captain America! 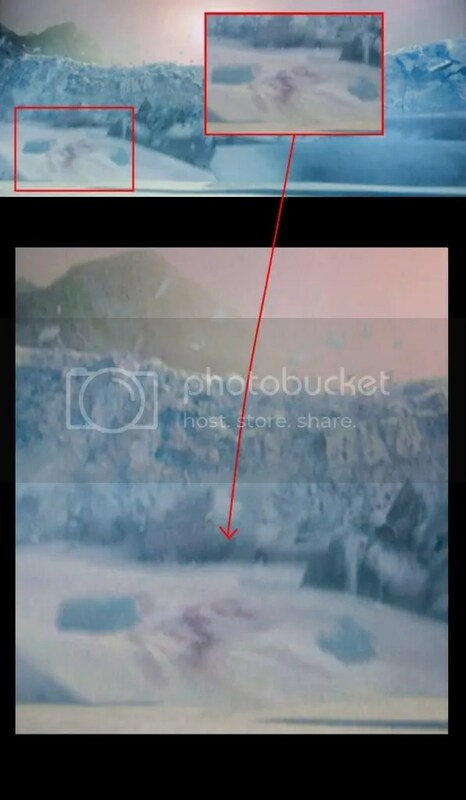 Update: Watch the alternate opening of teh Incredible Hulk that is said showing Captain America frozen in the ice at: Incredible Hulk Alternate Opening With Captain America? 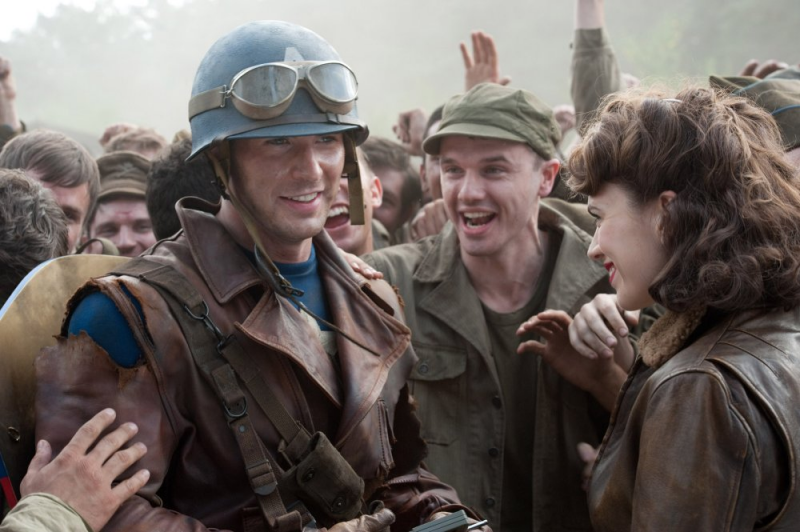 The First Avenger: Captain America Is A Reboot Movie! It may not have been a real box-office success but I did honestly enjoy this first Captain America movie. But Captain America deserves much more. So I don’t mind a reboot Captain America movie.